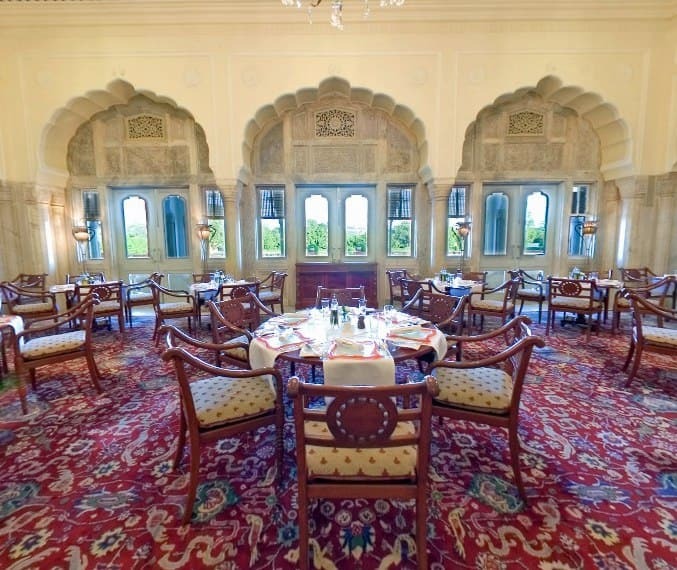 The Ram Bagh Palace: Royal Dine-In At The Epitome Of Rajput Royalty. The restaurant is carved out from revamped train coaches. Probably the only restaurant which revises their menu every three months. So, it offers something fresh and unique every quarter. Go there with your friends or with your family & kids, this place will serve all. The place offers; welcoming peacocks, unique décor and culinary delight.You can expect a high level of service since the place is run and managed by Taj Group of Hotels & resorts. TYW recommends: Reserve a table before 7:30. Try out their Fish n Chips, Tempura and their carefully selected list of Wine range & Long Island Iced Tea. This is one of the most amazing places in the city; refreshing, serene and unforgettable . Garden facing sitting area and Jaipur in the backdrop (Moti Dungri pahadi) sets the perfect tone to strike a conversation. This place is reminiscent of the relaxing verandahs of Rajasthani Havelis. TYW recommends: Tea, coffee and conversation. If hungry, try out their semolina crusted barbequed seed potatoes with mint and tamarind chutney and clay oven roasted norwegian salmon on awadhi sheermal (appetiser) & the sampler platter (thali – both veg and non-veg) (main course) & and three little desserts from rambagh & indian mithai platter (desserts). The Rajput Room is a royal rajwada set up, which reflects opulence and royalty in equal proportions. This place will floor you with their unparalleled service. Suvarna means ‘golden‘. Visit to Rambagh palace is incomplete without a meal at Suvarna Mahal. 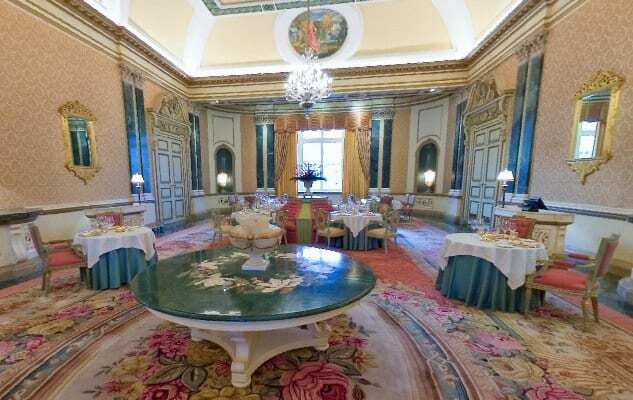 With golden décor and golden cutlery, this place is sure to captivate you with its flamboyant aura. Service and food will further add to the mesmerising experience. This place will leave you Spellbound. TYW recommends: Visit this place to fine dine with family. Try out their awadhi gilawat on warqi parantha and sangri aur chane ki tikki (appetiser) and Laal Maas and hasrat-e-husn (main course). 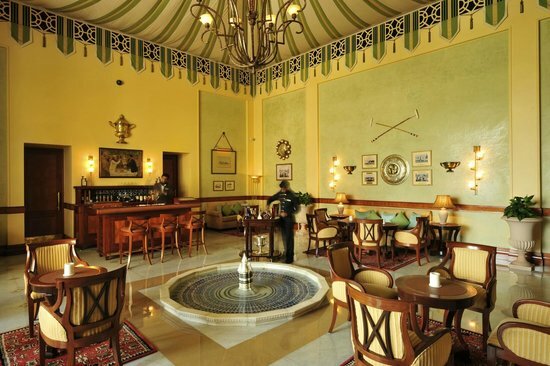 Themed around the princely equestrian sport, the interiors of this place have essentially captured the true essence of this royal sport. A pool, Napoleonic tent, trophies and classic upholstery make the place an ideal outing for all the sports enthusiasts and people with exquisite taste. TYW recommends: Visit this place for a refreshing outing with friends for a couple of drinks. Try out their collection of finest rare whiskies, signature cocktails, single malts, cognacs, wines and liqueurs, underlined by a hand-picked selection of Cuban cigars, unique list of home-made iced teas, lemonades and ginger ales.